Place your order online directly from our website. 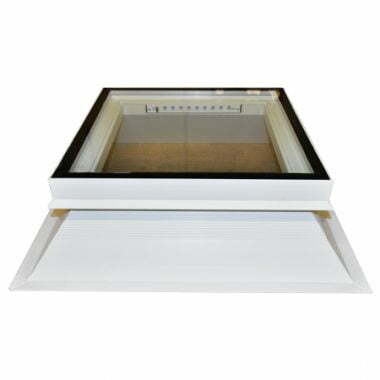 Simply select your preferred rooflight from our bespoke range of products and add to your basket. Once you’ve finished browsing our website and are satisfied with your product choice, click to review and place your order. Once we have received your order, we will dispatch your rooflight from our Northumberland warehouse within 48 hours – Monday to Friday. We provide free delivery throughout Britain. We offer our rooflights nationwide and due to being a local business we have built up a strong reputation and trust with our customers throughout the North East and further afield. We work with the best couriers meaning your delivery gets to you as soon as possible and in excellent condition. Order rooflights today with Direct Rooflights – where all of our products are manufactured in-house – and you can be assured your rooflight will meet and in many cases, exceed industry standards.